and the right shredder for your office is a key part of your overall security strategy. Whether you need a small personal shredder by your deskside, or a central office shredder to be used by everyone, Westview Office Tech has you covered with professional grade shredders from industry leaders Ideal.MBM, makers of Destroyit brand shredders, and Fellowes. Both manufacturers offer lifetime warranties on their cutting shafts, and a wide range of sizes and security levels to suit any need. Ideal.MBM shredders are manufactured in Germany with hardened steel blades, and their superior quality motors make the Destroyit lineup of shredders one of the best in the world! So good that they are certified for use by government, military, and intelligence agencies, so you know you can trust them in your office. 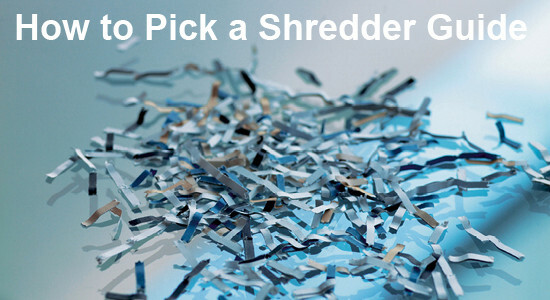 Not sure how to decide on a shredder? Download this quick guide on the most important factors to consider when purchasing a new shredder, or call us for guidance and a quote.